As of today over 770 memberships to NADWCon have been sold. We stop selling these when we hit 900. If you want to attend, I suggest buying your ticket soon. ...and don't miss the Seamstress Guild Party held in Terry's honor on Friday night. The hotel is booked, official announcements are going out and many of the crucial staff positions are now filled; at last U.S. fans will have their own Discworld Convention, with Himself in attendance. 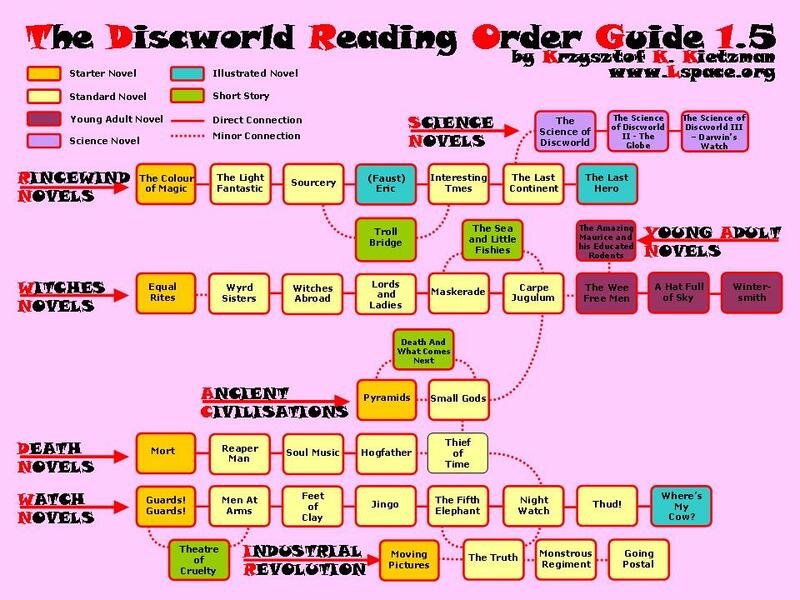 A good deal of organizing & networking will be done, both at WorldCon, at the UK Discworld Convention, and elsewhere. Pass it on. (Labor Day weekend which includes a Monday holiday) at the Tempe Mission Palms Hotel in downtown Tempe, Arizona (near Phoenix). It will be a celebration of the Discworld universe created by ourGuest of Honor Terry Pratchett. Other guests will include Diane Duane, Peter Morwood, and Esther Friesner, with more to be announced. During the weekend we will have many panels, presentations, readings and other activities for Discworld fans. We are also planning to have a Maskerade, a Banquet, a Marketplace (dealer's room/art show), a Charity Auction to benefit the Orangutan Foundation, a Hospitality Suite, and other activities for attendees. The North American Discworld Convention is being sponsored by Leprecon, Inc., an Arizona non-profit volunteer corporation. Our Guest of Honor, Terry Pratchett, is the international best-selling author of the Discworld novel series, which began in 1983 with The Colour of Magic and most recently continued in Making Money. 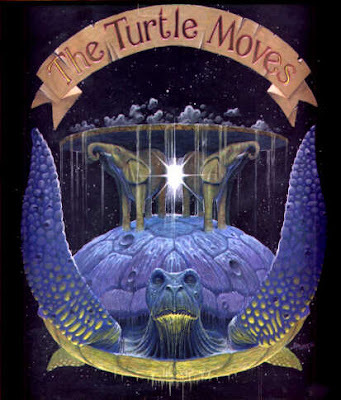 His young adult and children's books, including the Johnny Maxwell series and the Tiffany Aching Discworld YA books, have been well received, and he was awarded the 2001 Carnegie Medal for The Amazing Maurice and His Educated Rodents. He also co-wrote Good Omens with Neil Gaiman. Our additional guests are fans of Terry's work and good friends of Terry's. They are also excellent convention guests in their own right and we're looking forward to having them join us. Diane Duane and Peter Morwood have written many novels, comics, and screenplays, both singly and as collaborations. They co-wrote The Ring of the Nibelungs miniseries (aired in the U.S. on SciFi as Dark Kingdom: The Dragon King), and each has several new novels and projects in the works. Esther Friesner is a science fiction and fantasy writer best known for her humorous stories and anthologies (such as Alien Pregnant by Elvis and the Chicks in Chainmail series) and her fantasy novel series (Majyk, Demons, New York by Knight, and Gnome Man's Land). She's recently embarked on a young adult series featuring a young Helen of Troy with Nobody's Princess and the upcoming Nobody's Prize. We will be hosting other guests with connections to Terry and Discworld in addition to those above and will announce them as they are confirmed. The convention will run from early afternoon on Friday, September 4th to late afternoon on Monday, September 7th. There may be some limited activities available for pre-registered members on Thursday night, September 3rd, depending on the travel schedule of our guests. Tentative plans for major events include a special event on Friday night, the Maskerade on Saturday night, and a Banquet in the early evening on Sunday. The Charity Auction will benefit Terry Pratchett's favorite charity, the Orangutan Foundation, and will likely be held on Sunday afternoon. There may be some additional fund-raising activities during the weekend as well. Our venue is the Tempe Mission Palms Hotel in Tempe, Arizona. Leprecon, Inc. has recently hosted the 2004 World Fantasy Convention and the 2006 Nebula Awards weekend at the Tempe Mission Palms and it has received acclaim from fans and pros at those events. The hotel is located in the heart of downtown Tempe with a varied selection of restaurants, shopping and nightlife nearby. It is a short distance from Phoenix Sky Harbor International Airport and is accessible via the Phoenix Light Rail system, which will be opening in late 2008. Our room rates are US $119 per night S/D, US $129 T, and US $139 Q with a US $9.75 per night hospitality fee that includes airport shuttle, valet and self parking, internet access, a fitness center, and more. The online booking code and the reservation phone number will soon be available on our website. The initial membership rate will be US $60 for a full weekend membership, or US $30 for a supporting membership. Children 6-11 will pay US $30 with kids 5 and under free with an adult membership. These rates will be in effect until March 31, 2008. This rate includes all regular convention events, panels and presentations. The Banquet and a possible VIP event/charityevent will cost extra and will be announced when details are finalized. Payments can be made via the mail or online via Paypal. Full details are on our website. We are planning to cap membership in the 900 attendee range to ensure that all attendees will be able to be seated at the major functions in our ballroom. For those wanting to mix in some tourism around the convention we will be looking into making arrangements with local touring companies for trips before and/or after the convention with the possibility for some special excursions being arranged for attendees. Keep an eye on our website for details. We're looking forward to hosting a fun weekend for all of our attendees and our guests. Please be sure to visit our website at [link] and join in the discussions on our message board and livejournal community. A group planning and hosting a costume event and party in Terry's honor at the U.S. convention.